The current system defines problems according to predetermined services and categories. But there are many people who never fit into the categories the system has allocated and constantly fall between the cracks and remain in trouble - so the wider system continues to have to give them emergency help because the principle services are ineffective. This racks up further costs. 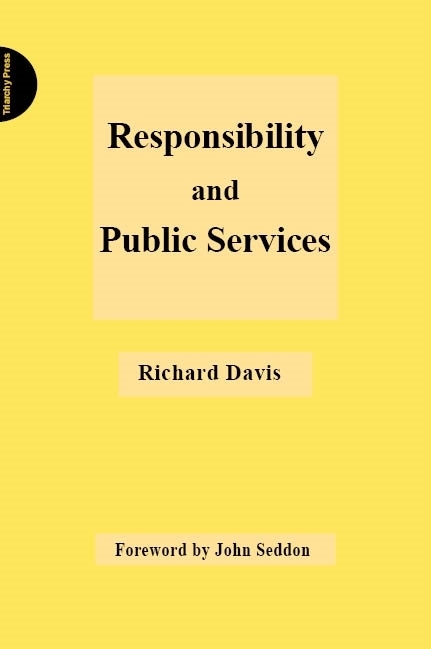 Responsibility and Public Services shows that it is cheaper to offer people tailored services that meet their needs than to continue providing 'off-the-shelf' services that don't meet their needs. The thinking is that if a little time is taken to understand people in context and to find out what matters to them, the solutions are far easier and cheaper. And, because you build in resilience and help people take their own measures, it stays cheaper. Public sector workers and managers with leadership skills looking to improve service provision in their own departments. Richard Davis is a founding member of Vanguard Consulting, UK and has worked with John Seddon for over 25 years. His was a vital role in developing the Vanguard method, which has allowed for dramatic improvements in public services. ​Read more about the author.